Computer Repair Fort Lauderdale, Fort Lauderdale Computers Repair in Pompano Beach, PC, Computer, Weston Virus Removal, Computer Repair and Laptop Services Pompano Beach, Computer Repair and Laptop Repair Pompano Beach. Dell, IBM, Sony, HP, Compaq, Toshiba. IT & Computer Services: 954-934-5342. Computer Service Fort Lauderdale provides PC and Apple computer repair, service and support, too. 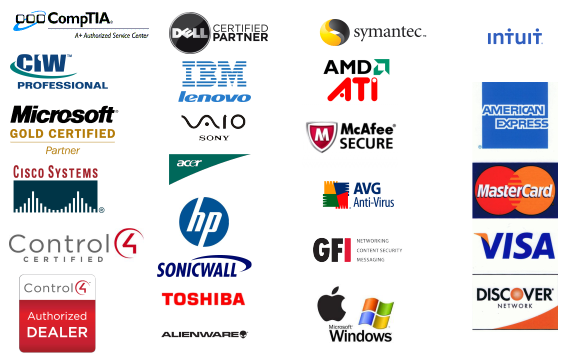 Our company computer technicians work on Dell, IBM, Sony, HP, Compaq, Toshiba, Asus, Acer, MacBook, MacBook Pro, Mac Laptops, iBook, G4, G5, Mac Desktops, Apple Laptops and Desktops. Our Computer Service Center is located at 4407 North Federal Hwy in Fort Lauderdale, Fl 33308 next to Holly Cross Hospital, South of Commercial Blvd on US1. Our services include both software and hardware, residential and business. Call: 954-934-5342 or 561-235-2394. Computer Service Fort Lauderdale offers computer service and support for any residential, office, business, commercial and industrial customer. Our experienced computer engineers can provide Windows, Linux and Mac Computer Services. Our professional computer technicians work with QuickBooks, Microsoft Office, ACT, Quicken, Windows Server 2003, Windows Server 2008, Windows 7 Networking and more. We have been servicing South Florida (Fort Lauderdale, Oakland Park, Wilton Manors, Pompano Beach, Broward, Lauderhill, Margate, Tamarac) for 12 years. Call: 954-934-5342 or 561-235-2394. Our Computer Repair Fort Lauderdale technicians provide computer repair, service and support in Fort Lauderdale - Broward area. Our computer repair company offers computer services such as: spyware and virus removal, blue screen, data recovery, office computers. We offer on-Site, in-Shop and remote computer repairs and service, hardware and software support, networking services, virus and malware removal and prevention, and we can work with most technology needs that small businesses have. At Computer Service Fort Lauderdale our goal is to provide you with the quick, honest and reliable computer help for your home or business computer at a price you can afford. 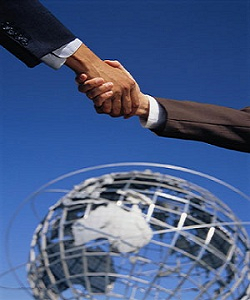 We pride ourselves on our timely response and quality support. Our engineers are standing by. Computer Services local to Fort Lauderdale area, so you can count on the fastest response and turnaround possible on your computer issues. Three locations to serve you along with in shop and on site computer support seven days a week. We provide IT Computer Services to Fort Lauderdale and Broward County. Small Business IT Support is our speciality as we are able to provide an IT Support & Service according to your specific company needs incorporating both PC and Server Support. This Fort lauderdale Computer Repair center offers a fantastic computer repair / service. They came to our home in Wilton Manors for a virus removal service. Great job, plesant experience. I recommend this Computer Repair Service Center for any computer (laptop, pc, desktop). Alex, Danny and John are nice, friendly, professional and skilled. Amazing computer repair shop that serves Oakland Park and Wilton Manors. These technicians are skilled, professional engineers ready to help with any computer issues one might have. Excellent customer service and perfect location, easy to find. Professional Computer Service of Fort Lauderdale. Danny came and fixed 2 computers for us: he saved me emails, he changed the laptop keyboard, he removed the virus and many more. Great guys. Best Computer Repair in Pompano Beach, great technicians, excellent service. I had a problem with my computer and they fixed it right away. I would strongly recommend Computer Repair Pompano Beach to everyone else.". Our company provides computer repair and services in Ft Lauderdale, Wilton Manors, Oakland Park, Sunrise, Coconut Creek, Deerfield Beach, Pompano Beach covering the following services: virus removal, laptop keyboard replacement, data recovery, any apple/ mac hardware or software services, laptop LCD / screen replacement, motherboard repair, windows errors, networking, server services, hard drive. Computer Service Fort Lauderdale has been providing computer repair fort lauderdale, laptop repair pompano bach, PC repair oakland park, office computer service, virus removal fort lauderdale, network services and server services in the Fort Lauderdale area to our growing base of residential and commercial customers. Our computer repair technicians will promptly get your issue resolved and your home office or business office computers and servers back up and running. Visit us at our location, conveniently located in Fort Lauderdale: 4407 N Federal Hwy, Fort Lauderdale, Fl 33308. Call us now: 954-934-5342. Our Laptop Repairs and Services include but not limited to: Laptop Screen Replacement, Laptop Data Recovery, Keyboard Replacement, Memory Upgrade, Motherboard Replacement, Power Jack Replacement, Fan Repair, Laptop Recovery Emergency Service. We also offer: Laptop Virus Removal for any brands, Hard Drive Repair and Replacement, Windows Errors Repairs. Our professional and reliable on-site and affordable “shop-service” computer repair services include software trouble-shooting and hardware repair of laptop brands, including DELL, Acer, HP, Asus, Sony, IBM, Compaq, Toshiba, Gateway. Our approach increases business productivity and reduces network down-time by providing a superior level of IT support.